The sounds of Frank Sinatra. The tastes of craft cocktails and exquisite wines. Floor-to-ceiling windows with rooftop views. And, of course, the steaks. We exclusively serve USDA Prime — hand selected from the finest ranches in the heart of the Midwest. Add to your meal handmade, freshly baked bread and an extensive selection of seafood. 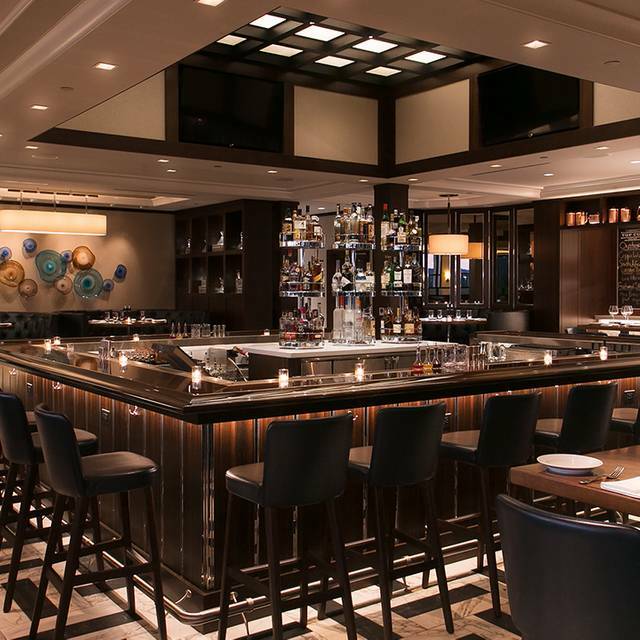 Indulge in our vibrant bar scene, host a private event, or enjoy the ultimate steakhouse experience in our formal dining room. It’s 1940s tradition with today’s perfection. Welcome to Top Cut. Service was good, but slow. All three steaks at our table were over-cooked. For over $50/ steak, wasn’t going to ask for another one, as a didn’t want to cause a fuss. Plan to spend 2 hours minimum, and an hour before you get your soup or salad. Our server Karen was excellent! She brought first class service to a new level! Thank you Karen! The waitstaff is amazing. Professional, accommodating and he felt like a part of the family. Seafood and steaks are the best in the valley. Our server Jill makes the experience even better. Wine, food, and service were great. Truffle butter on the sate is the best with sides to die for. the desert was great. 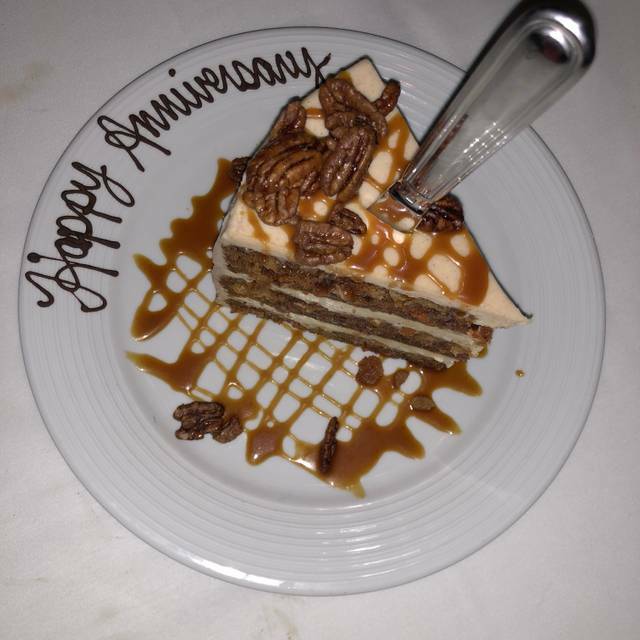 Our server, Jill, anticipated our needs and her team did everything to make our meal perfect. The food was hot and delicious. We felt welcomed and appreciated by the greeter and the manager. The service was excellent but at a place like this is absolutely should be. 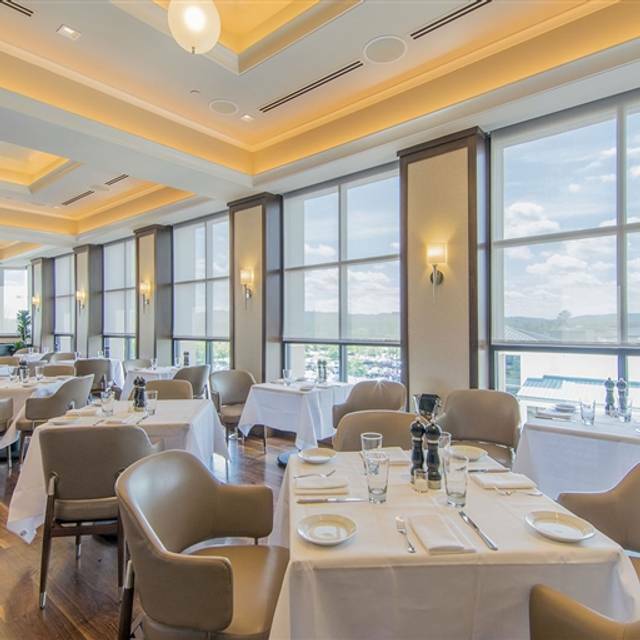 This is a beautiful steakhouse and the views make the experience all the better. The bread was disappointing, more like Kings Hawaiian rolls then specialty bread. The appetizer (Bacon steak) was AMAZING, you could really appreciate the smoked taste. The French onion soup was very good but the seafood bisque was a bit bland. The steaks were some of the best we’ve ever had. The desserts were good, not great. All in all a good experience, but for $200 for 2 people, I’ll stick with Emerils. Better food for less cost and the service is just as good. Easter Dinner with my son. This is by far the Best restaurant in Pa!! Steaks are Top Quality & always prepared with excellence. Customer service is 2nd to none!!! Warm Hospitality starts when the elevator opens & you are greeted & only ends after they goodbye and the elevator closes behind you. The food and service was excellent however we waited too long for our main course. The food was good but not great. I expect more at the prices being charged. That said, the service was very good. 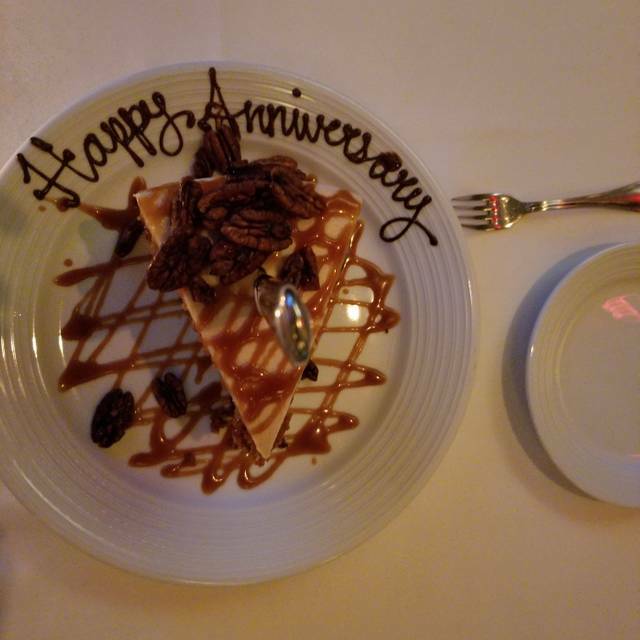 We had an enjoyable Anniversary celebration. The staff was knowledgeable and charming. The food was amazing. We will definitely return. Excellent service, food a bit loud for business, but still fantastic! Always an amazing time! Great specials, wine selection, service, and food! Great place! Made me feel very special on my birthday! Excellent ambiance, good service and food, but you pay for it. Had a coupon for a free entree, so got one of the $58 steaks for free. Everything is a la carte - sides can be shared. We only ordered one drink, no appetizers, and with the free entree, the bill still came to $150. Overall very good! Food was great server excellent. Waiting for the entree took longer than desired. Birthday… Complimentary dessert and a glass of champagne. Our waiter was superb...however 2 of the 3 filets were overcooked. One was sent back but waited quite awhile for replacement. I would recommend softened butter for the fresh soft rolls. Also coffee was horrible and waited for a dessert quite awhile. We were overall quite disappointed. 3 of us had 10oz filets. Steaks were good, but not outstanding for $52. Service was very slow for a not-so-busy night. 20 minutes before drink order taken by staff. Almost an hour before apps came to table. We love Top Cut and all the other properties owned by Blue. During the evening we were in attendance something was drastically wrong. Our waitress was very good. However, the service was extremely slow. It appeared there was not enough waitstaff to properly attend to the needs of the diners. While we wanted to take our time to dine, we were there for over 2 hours, which was entirely too long for 2 people. We summoned the manager to place our order so we could dine. This was our first visit to Top Cut. The restaurant is vibrant with a lot of windows and views of the local scenery. We were greeted immediately by the hostess and throughout the evening the service was outstanding. The menu is a traditional steakhouse offering. 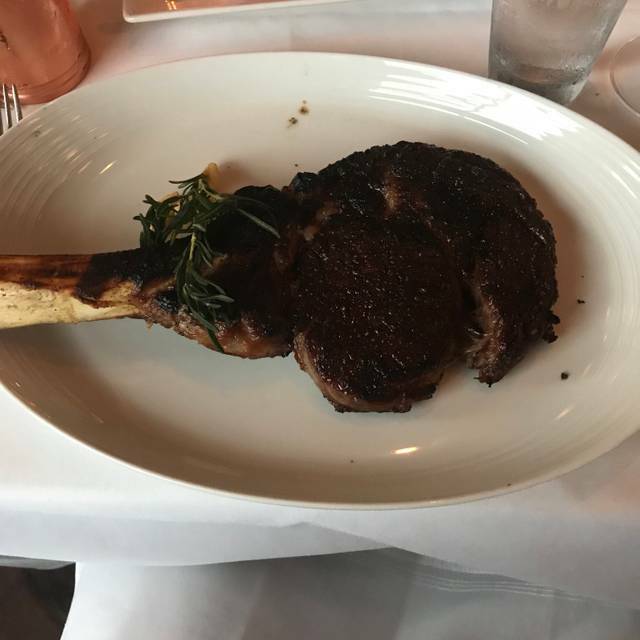 I had the ribeye, ordered medium rare, but I thought that it was undercooked. My wife had the 14 oz. lobster tail which was a bit overcooked and at $99, I thought was overpriced. We enjoyed the cocktails, and the wine list is quite impressive. We would probably go back again. The food was delicious, and our server Justin was excellent! We loved it!! First timers to Top Cut...so happy they turned the space into this Top Notch restaurant. Service was GREAT (had Katie as a waitress)....met some nice staff too!! It was a bit loud and hard to hear....but, the food/service made it ok! :) Will be back for sure! I have experienced Top Cut few times but my last one was so disappointed. My meal was over salted and the service was not compatible to the quality of the place. 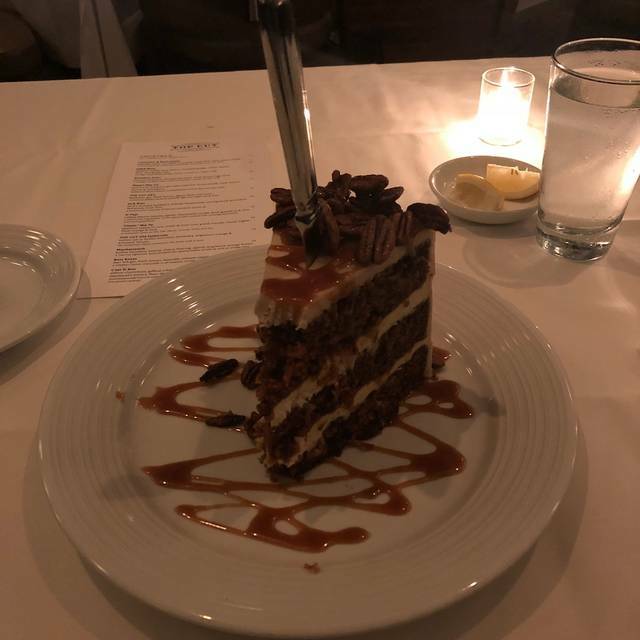 If you market your restaurant as an upscale place or if the restaurant charges for the quality I highly recommend that you offer a well trained staff. It is simple - if your client wants to expend for a quality, they should get it. This was our second visit there and just like the first time, it was superb. Jill is the best server! The food and atmosphere are just perfect! Wow. Every time we dine at this establishment we are amazed by not only the food and the wine, but the servers/staff are outstanding. They take the time to go over every item in detail, another waiter noticed us from A YEAR AGO and took the time to suggest a wine again based on the last time we were there. Customer service is excellent and the food is JUST as good! 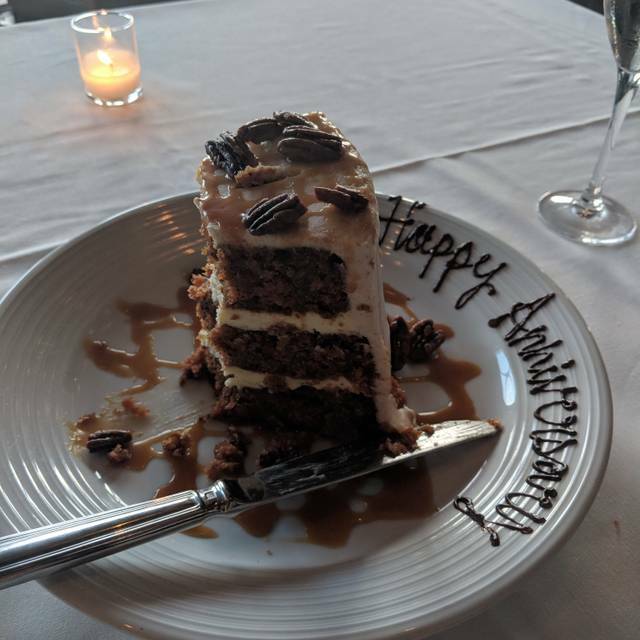 We had the short rib appetizer, halibut, bone in steak, and the carrot cake for our Anniversary! Wow! Just excellent, beyond excellent and will be back here for every occasion! Great steak and friendly, helpful staff. Another great dinner with superb service, perfect atmosphere and steaks made to perfection. Beautiful ambience, delicious and the service impeccable. We were seated immediately, and everyone was very friendly, but not to the point of being too solicitous. We had a very pleasant and enjoyable dining experience. 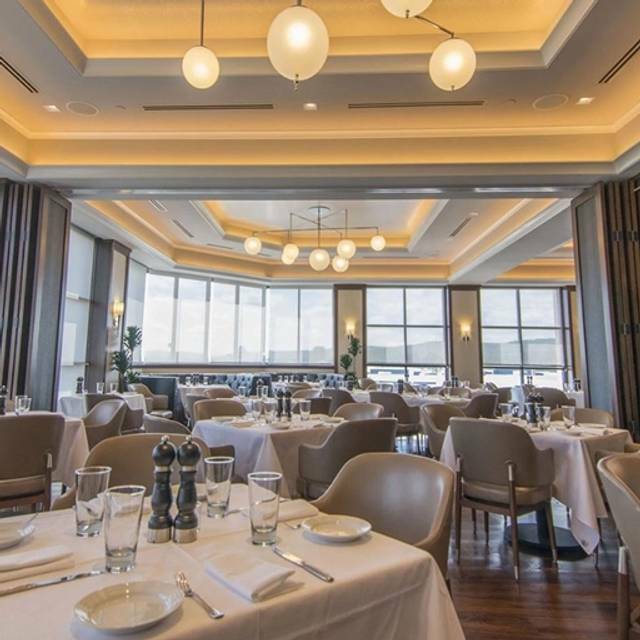 Though very pricey, it is a wonderful place to celebrate an event or special evening. We would definitely return. Bathroom located on the second floor, so you have to take an elevator to get to a complete different floor to get to it, I had to ask two people to find the restrooms. No restroom signs indicating for them to be located on the second floor. Love it can’t complain go there once in a while. Great service, food was plentiful and delicious. Noise level was moderate, I had a late seating, when patrons began to leave, the din was lower. 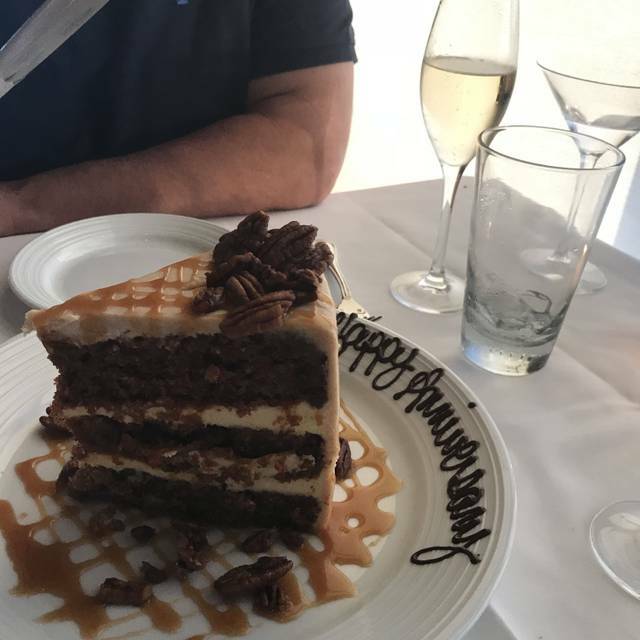 They did a nice Birthday dessert, included a glass of champagne . I would go again. Very poor experience at Top Cut this evening, mostly with the service. Horribly slow and they didn't get the order right. I blame mostly the server - he was slow to respond to our requests and didn't take action to fix our situation (and he called everyone at our table 'my friend'). We have dined here before and have had a better experience. I will hesitate to come back again, fearing that we get the same waiter. We went to to Too Cut to celebrate my 2 daughters birthdays. The staff was wonderful, Justin was our waiter and he was awesome, very accommodating with our2 year granddaughter. He was very personable and attentive to our service. Entire dinning experience was perfect. We will be back soon.